Lawns can be deep and lush, but as every gardener knows, a beautiful lawn is both thirsty and labor-intensive. Many people are looking to lawn alternatives to create a pretty front area without the watering, fertilizing and mowing. 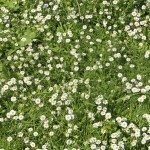 Wildflower lawns or areas of flowering lawn weeds can be charming and easy-maintenance once established. The term “weed” may call to mind a scraggly, ugly plant that is hard to get rid of. But the word simply means a plant you don’t want on your land. 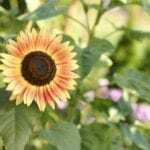 This group generally includes wildflowers; yet, wildflowers have many of the advantages gardeners seek when they go looking for lawn alternatives. Although individual plant requirements vary, most native plants require neither fertilizer nor extra irrigation. If they depended on human maintenance, they wouldn’t bloom wild in nature to begin with. 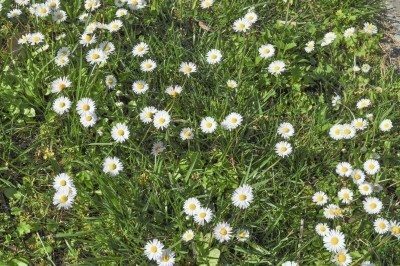 Flowering lawns built of wildflowers also have the advantage of establishing nicely where a turf lawn would be difficult. Think of steep slopes, rocky areas or sand dunes. The odds are that wildflowers can grow in these areas, whereas a gardener would have to work effortlessly to keep a lawn alive in such inhospitable terrain. If you gaze at neighbors’ flowering lawns with envy, maybe it is time to make a move toward changing your own vegetation. 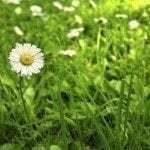 Moving from pure grass lawns to wildflower lawns requires an initial effort, as you dig up all or some of the lawn and plant the seeds of flowering lawn weeds, but after that, your work is done. If you want to plant wildflowers on your lawn, experts suggest that you plant the seed on top of your existing grass. Pick a site with moderately fertile earth, an excellent sward structure and very limited amounts of perennial weeds or vigorous grasses. Cut the grass very low in late summer, creating bare spots – up to 50 percent of the lawn – by raking. Mix wildflower seed with sand and broadcast by hand over the bare spots in autumn. Additionally, creeping thyme is one of the best low-growing ground covers since it requires no help to rapidly fill in bare spots between rocks or borders. 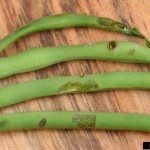 It provides provide color, fragrance, and requires very little maintenance.